India is the fastest growing economy in the world offering a wide range of job opportunities to the professionals, who have skills in either one or more than one trade. Typing and stenography as a skilled trade, has always been in demand. These trades provided a majority of job opportunities to undergraduates as well as postgraduates from various streams. The institute is a learning ground for you as this is where you will gain firsthand experience on the stenotype machine. You will learn the practical aspects of using the machine in different environments. A typically traditional stenotype machine has 22 keys and in the boots of a stenographer, you may often have to type no less than 300 words every minute. Therefore the stenographer often has to hit multiple keys in one go. This process of hitting is called chording, and while you are in a stenography institute, you get to know the tricks of chording. Read Also: Are You Creative? Then Fine Arts is Calling You! 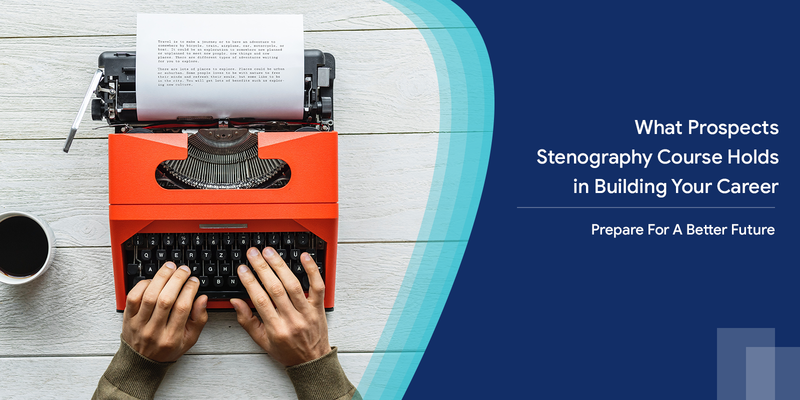 While gaining the expertise on the stenotype machine in the stenography institute, you are also learning about the trade, into which you are going to make your entry very soon. The instructor in a good stenography institute in India will guide your way into the job prospects after completion of stenography institute. It is very essential to note that a stenographer needs comprehensive training on shorthand skills and English plays indispensable role here. The stenographer institute will hone your English language skills simultaneously while learning the stenography. The institute will provide you with a double advantage. In the training institute, you master the skills to type error-free and with appropriate speed. A good stenographer requires the right balance in his or her speed and accuracy. No one is better than the other. Do Not Wait for Another Hour! Look around for the best stenography institute around you and enroll in the stenography course without any further delay. The stenography course will turn out to be an overwhelming prospect in the future. You will be competing at par with the IT professionals, and moreover, salaries are also competitive. And finally remember, stenography still has a long way to go.